The global food crises of 2008 and 2010 and the increased price volatility revolve around biofuels policies and their interaction with each other, farm policies and between countries. While a certain degree of research has been conducted on biofuel efficacy and logistics, there is currently no book on the market devoted to the economics of biofuel policies. The Economics of Biofuel Policies focuses on the role of biofuel policies in creating turmoil in the world grains and oilseed markets since 2006. 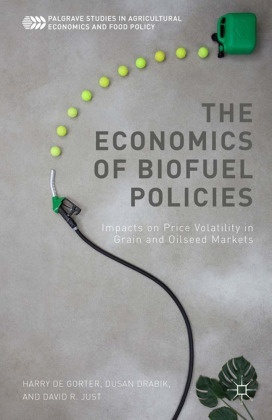 This new volume is the first to put together theory and empirical evidence of how biofuel policies created a link between crop (food grains and oilseeds) and biofuel (ethanol and biodiesel) prices. This combined with biofuel policies role in affecting the link between biofuels and energy (gasoline, diesel and crude oil) prices will form the basis to show how alternative US, EU, and Brazilian biofuel policies have immense impacts on the level and volatility of food grain and oilseed prices.